The very worst law office scenario is waiting for the phone to ring. If you’re phone isn’t ringing off the hook, then you might consider your legal marketing strategies, especially if you don’t have any. One of the most important ways to market a personal injury law firm, or any business, is to brand it. In your case, make your law firm a brand. 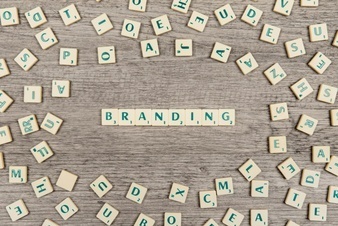 What is branding and why is it so important to your personal injury law firm? Branding a personal injury law firm is how you identify your business – the image of your company. It tells your target audience who you are, what your business is, how you do business, and so much more. Branding expresses the quality of your business, as well as its strengths and personality. Branding is a consolidation of design, message, services, pricing and organization. It’s not just a logo – it’s the meaning behind the logo. It’s what sets you apart from the competition, and as you already know, there is plenty of it out there. According to a survey published by LexisNexis, a legal provider of content and technology solutions, competition is the biggest barrier to growth for law firms. In addition, according to a 2016 report by Georgetown University Law Center, over the past few years, the demand for legal services has hardly grown. Traditional branding, such as print ads, television and radio is still very important; however, it is now augmented by an array of digital components including websites and social media platforms. To be competitive in today’s market, it is of paramount importance for a personal injury law firm to employ a full array of digital marketing strategies. If you want a strong brand identify, then you have to become aware and part of the digital media world. If you are already using traditional means of advertising your brand, and have a fully functional website and a social media presence, you may consider some additional branding practices. Find out what your competitors are doing to brand themselves. Have your website and logo updated with a fresh new look. Add a chat line service, blog and FAQs to your website. Make certain your legal marketing strategies are targeting your audience properly. In branding or re-branding your law firm business, you want to come off as the authority on personal injury law. Branding, as stated in Entrepreneur Magazine, is “your promise to your customer.” Deliver that promise in way that people will perceive your value. You will be rewarded with easy recognition, which will engender trust, reliability and loyalty. If you want to get your phone ringing all day long, brand your law firm. And of course, call us. It’s what we do.